HomeWorld Record For Quantum Entanglement Has Been Broken! Quantum entanglement is a state in which the location of one particle is closely correlated with that of another. In other words, it is the nearest practical thing to having a said particle in two places at once. 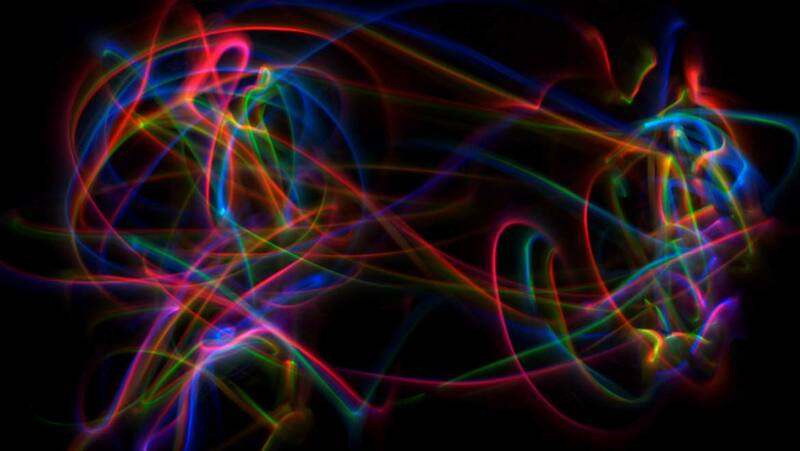 It has already been established that quantum entanglement is quite possible. However, it is still not very common, not even in super-advanced, dedicated labs. On the other hand, many researchers believe that stable quantum entanglement is an important component of quantum computing. Therefore, without it, electronics will not make the giant leaps promised by this form of processing. 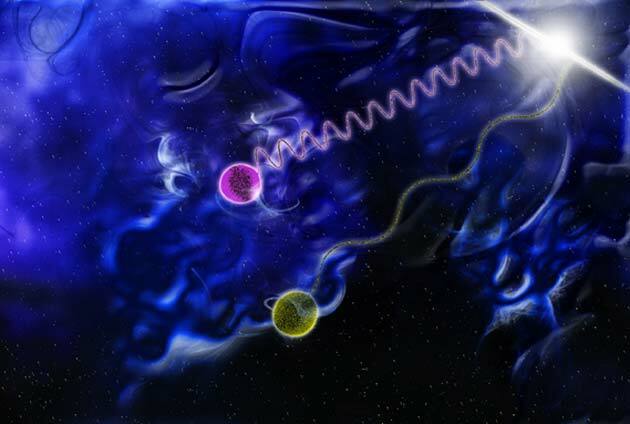 Quantum entanglement is often done using the medium of photons, as they are relatively easy to measure and may also play a role in the computing of the future. However, scientists have not been able to assign more than one or two quantum states to a single photon. A paper published in a July 2018 issue, of the journal Physical Review Letters, indicated that this limit has been broken. A team of Chinese scientists has reported the measurement of a total of 18 quantum data units traveling among six separate photons. This translates to three quantum entanglements per photon. These units are qubits, the base unit of all quantum computing. This type of data is intended for encoding onto photons for transfer and storage in a quantum processor, machine or network. However, it is currently difficult to keep track and stabilize qubits. Their entanglement, which is measured in terms of state fidelity, (i.e., representing exactly the same data in two different locations) is still difficult to achieve. The scientists, who completed their project at the University of Science and Technology of China (USTC), managed to cram three separate qubits onto one single photon. It doesn’t sound like much, but this is a tremendous achievement in what is a very elementary field at present. The qubits were generated through the degrees of freedom of the six photons, which had been engineered specifically to exhibit the same. This was done by tuning the direction of travel, orbital angular momentum, and polarization of the six particles. Therefore, the photons had three separate degrees of freedom with which to set up a controlled quantum system. This, in turn, generated Greenberger-Horne-Zeilinger entanglements to establish the three qubits per photon. The team also developed a specialized tool called an interferometer in order to quantify these entanglements. This allowed them to use the quantum system to perform some reversible operations. For example, the researchers could verify that the system could be used to complete quantum combinations (i.e., all the different permutations of entanglement between the particles), which numbered a total of 2 to the power of 18 (262144). The scientists also reported a state fidelity of 0.708±0.016 for this system. This figure could be sufficient to declare the authentic occurrence of entanglement. This study represents a sizeable step forward in the generation and control of quantum entanglement. In addition, the research reports entanglement in a greater volume than ever before. If it can be upscaled, it could finally put quantum computing into the same realm as ‘real-world’ computing. The paper has also demonstrated that quantum operations may be more efficient when multiple qubits are attributed to a single particle, as in the USTC researchers’ system. The next best alternative is to assign one qubit to its own particle. Dr. Sydney Schreppler, a University of California quantum physicist, was asked to comment on the study. She noted that such a one-to-one system would take several seconds to compile. This is not feasible and a rather backward step in processing terms, and it would allow a comparable transistor-based system to gain a time advantage in an experimental situation. In addition, workable qubit-entangling systems are essential components of quantum processing. Researchers in this area estimate that this property may have many applications in a quantum system. It may be used for data transfer and short-term storage across quantum networks. Entanglement may be important for the purposes of quantum data security. The ability to verify that one qubit is truly entangled may become a standard form of authentication. Therefore, further validation and elaboration of the work done at USTC may be vital if the computers of the future are to be truly quantum. X.-L. Wang, et al. (2018) 18-Qubit Entanglement with Six Photons' Three Degrees of Freedom. Phys Rev Lett. 120:(26). pp.260502.